We do not currently have enough stock to meet the quantity requested. We have 89 available. If you would like to order more than 89, please call in your order to 1-800-TEACHER. 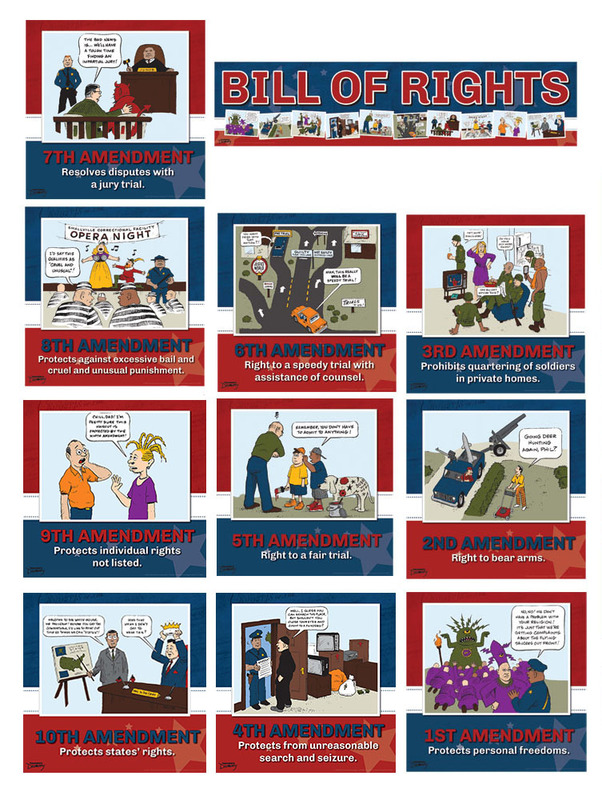 Crazy Laws… Still on the Books Today! In Florida, there’s no dwarf-tossing allowed where alcohol is served. Stealing someone’s alligator in Louisiana could land you in jail for up to 10 years. Selling your own eye (or any other human organ) is illegal in Texas. Why were these laws ever needed? Are they still enforced today? 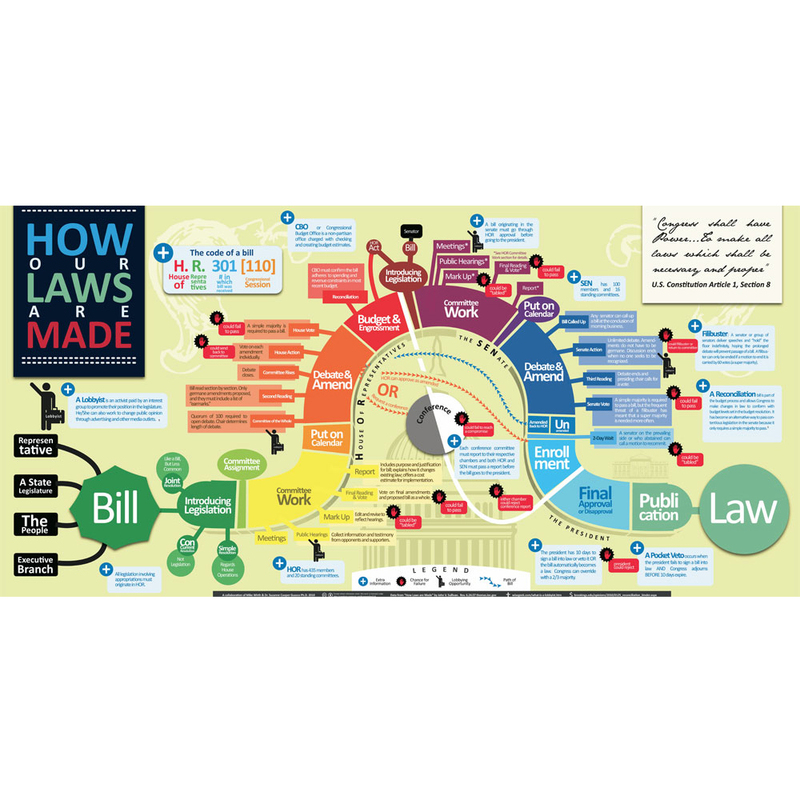 This poster features one law per state with an accommodating icon map. 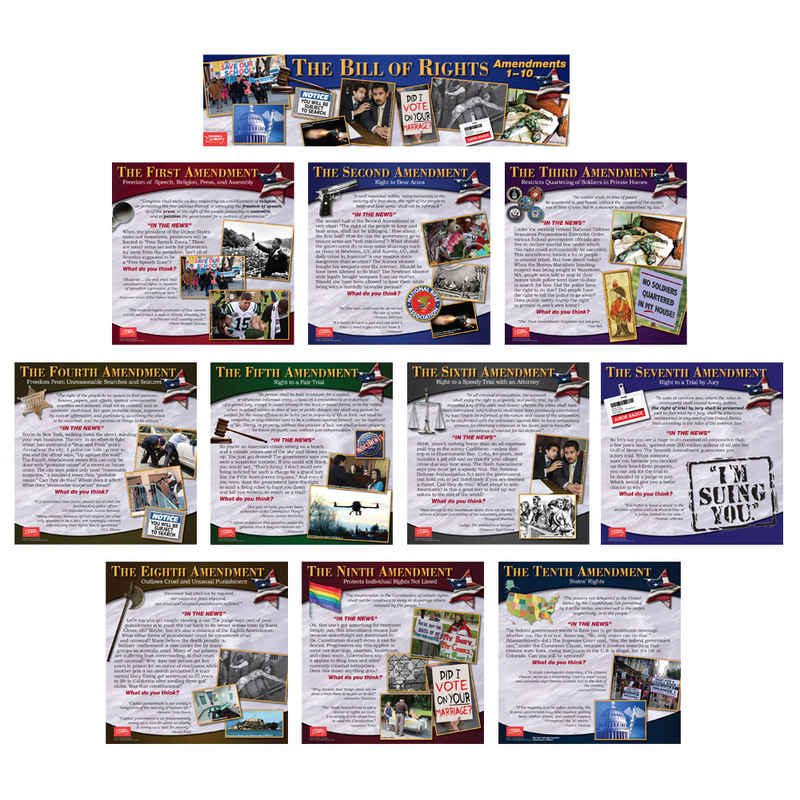 These crazy, but REAL, laws make for excellent discussion starters in any classroom! ©2016. 13 x 38 inches. Laminated to last. Middle school, high school. 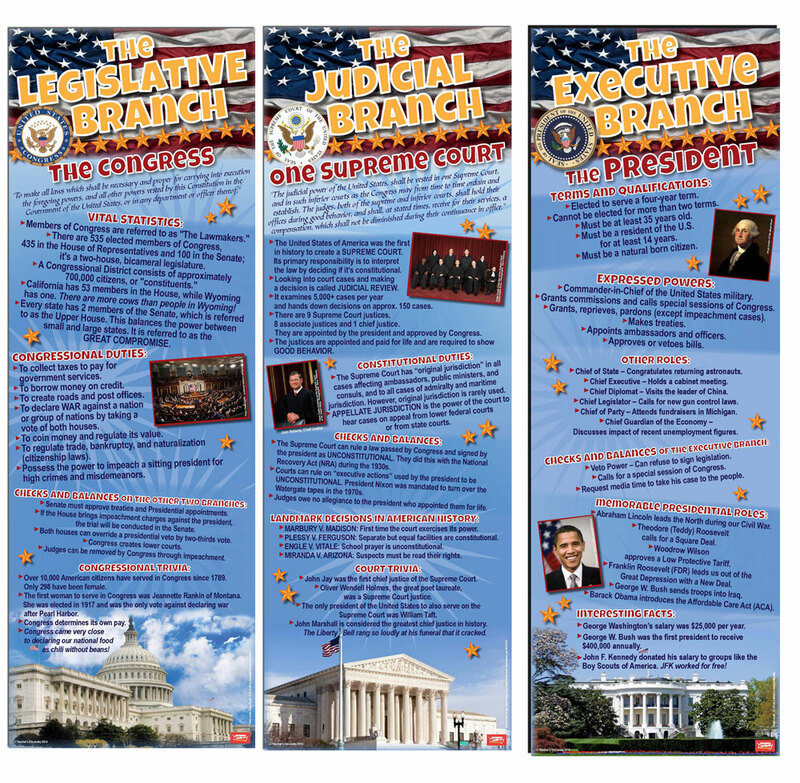 The kids love it as we study the legislative and policy processes. It gives such goofy information and makes 'em ask, "how could such laws come to be?!" 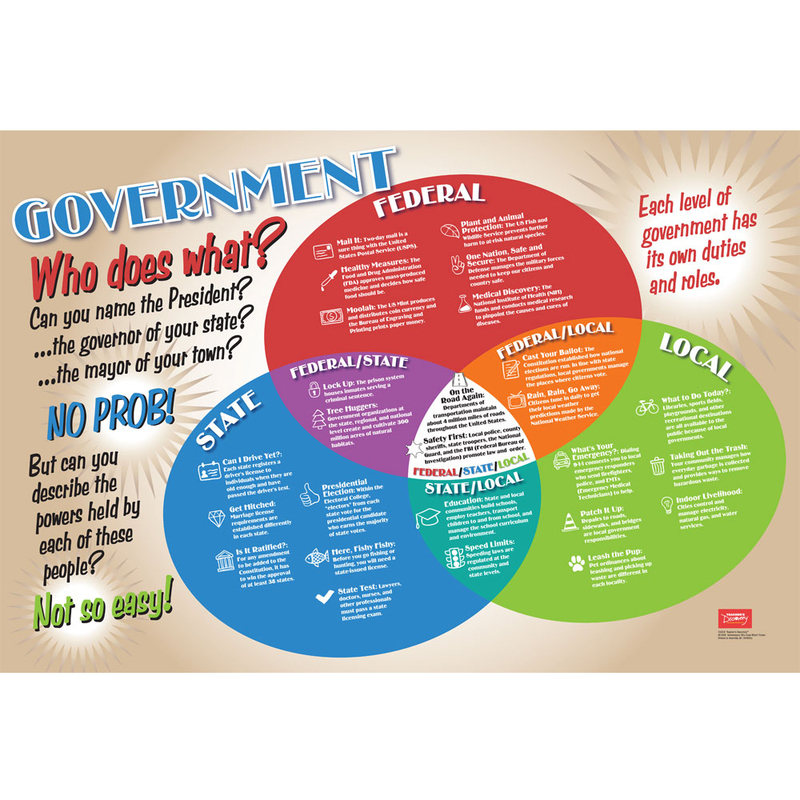 Great poster for a history classroom! 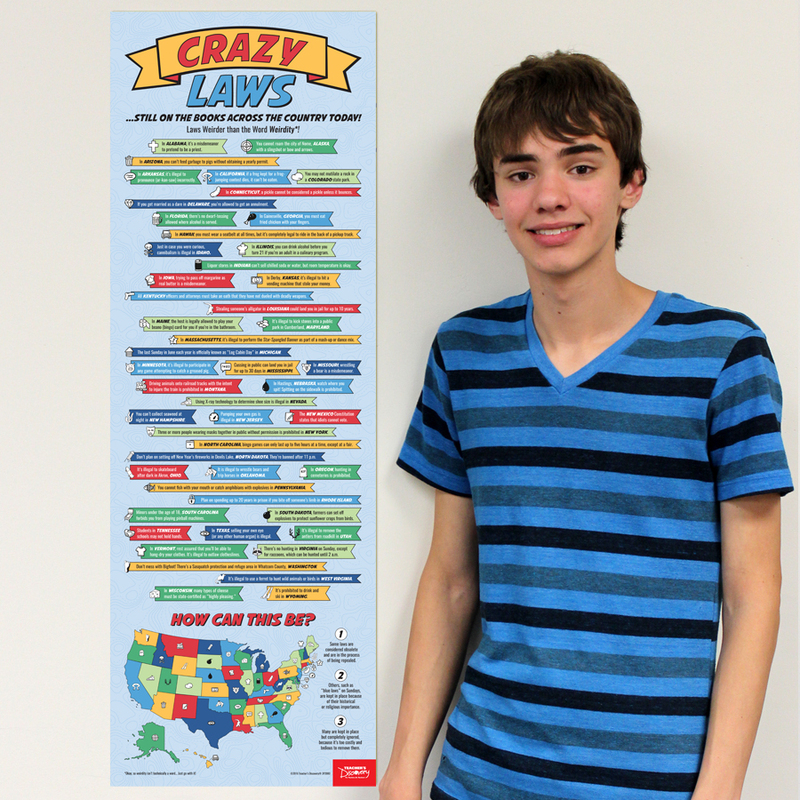 All of my classes have had fun reading some of the crazy laws.